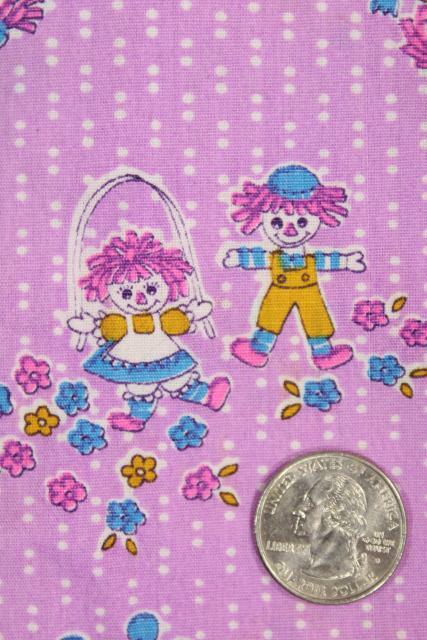 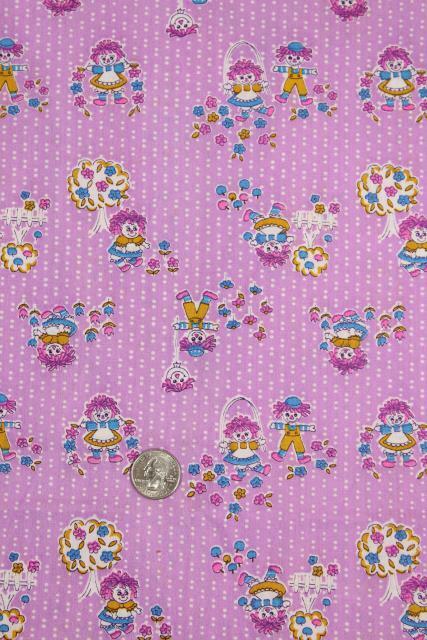 Cute 1970s vintage cotton print fabric with Raggedy Ann! 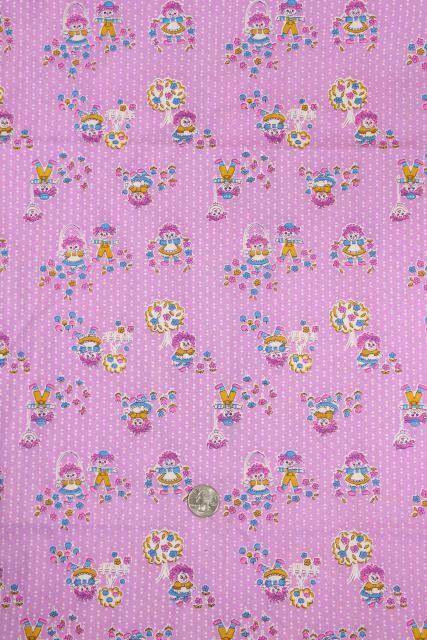 This measures 45" wide x 2 yards. 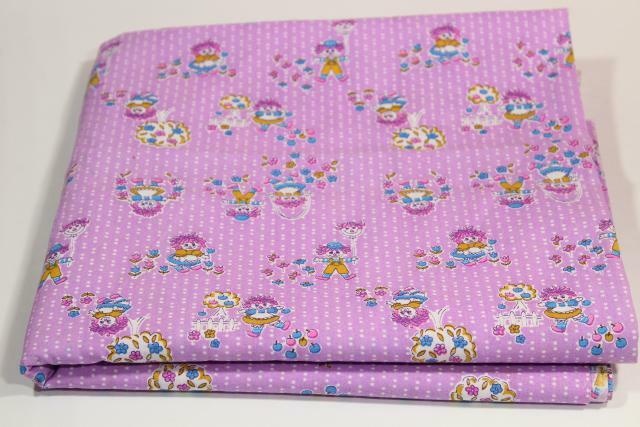 It's a little stiff (not very soft) but this is such a sweet print, and we love the lavender purple color.